Rio Resort Stripe Big Kahuna Beach Chair. A trip to the beach is one of the best ways to relax and unwind, but we know how to make it even better. The Rio Resort Stripe Big Kahuna Beach Chair is king-sized for maximum comfort and support with its extra-wide seat and extra-tall backrest. 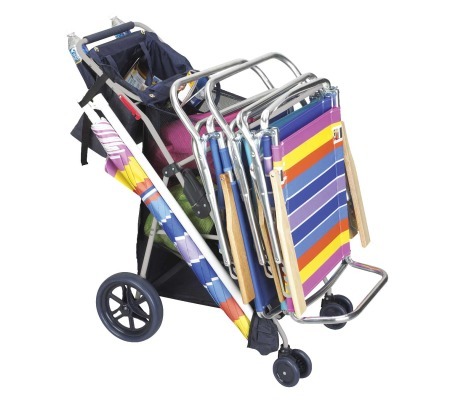 Its rust-resistant aluminum frame and steel seat ensure durability and relaxing days at the beach for years to come. This deluxe beach chair also has a 2-inch thick pillow headrest, carrying handle, drink holder, and zippered side pouch, so it's equipped to provide countless hours of relaxation.